Many of my friends asked me for how to make chapati. Since it goes extremly well with all curry's its good to know how to prepare them. Here is the recipe. Make logs out of the dough. Cut the logs into 1inch balls. Dust this ball with flour. Flatten the balls with the help of pin-roll. Heat tawa in medium heat . Place the chapati over the heated tawa. Wait for 10 seconds. Flip on the other side. Wait for another 10 seconds and flip it back. Press the chapati from the edge of one side until it puffs up with the help of spatula or dry cotton cloth. Flip and do the same on the other side. By this time your chapati must get cooked evenly. Take it off the pan and grease it with butter. 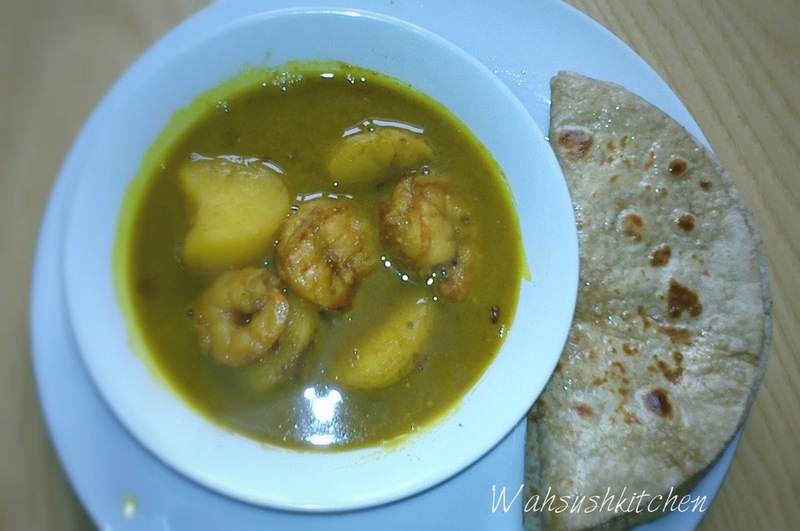 Chapati is ready to be served. 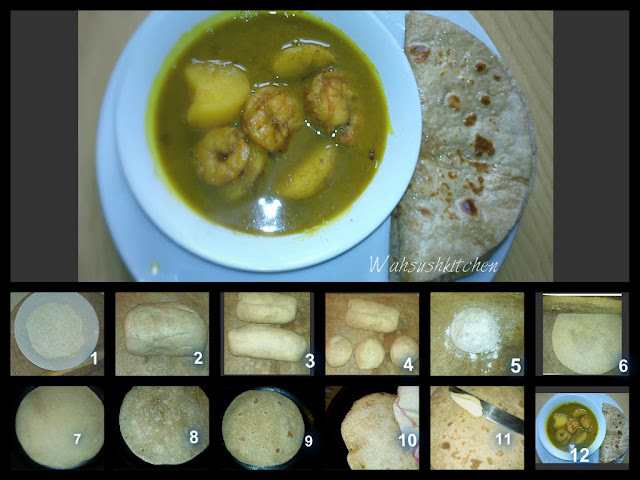 Repeat the process with other balls until you get desired no of chapati's. Serve it hot with any curry. Enjoy :-) and Happy cooking. Tip: Leftover dough can be kept in refrigerator in an airtight box and can be consumed until next day.